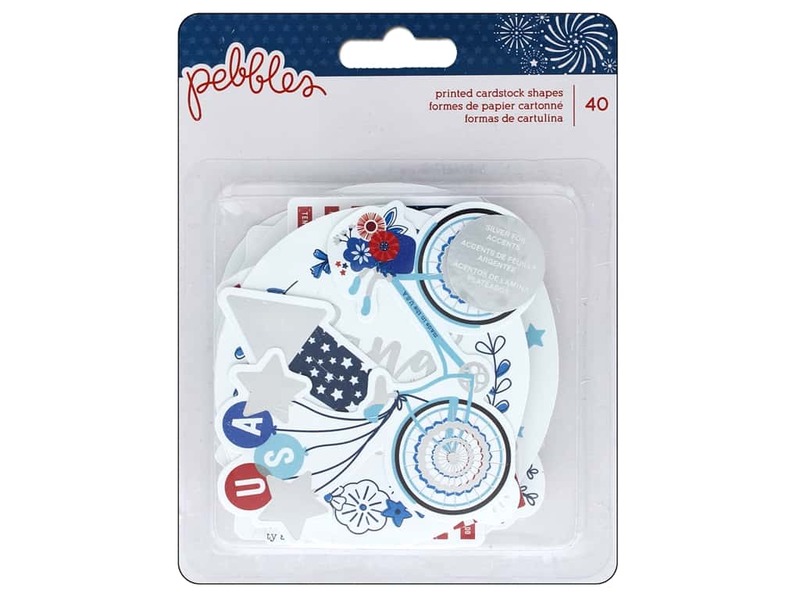 Description: Pebbles Collection Land That I Love Ephemera- 40 die-cut, cardstock shapes with silver foil accents. Images include: birds, rockets, stars, a bike, flags, faces, and medallions. Captions: it's a star spangled kind of day, America the beautiful, stars and stripes, oh the places we can go in America, and more. Colors are red, white, blue, dark blue and light blue. See more Pebbles Land That I Love Collection.